Celebrate your inner musician with our favorite shows like Nashville that will make your heart sing! If you haven’t seen it yet, Nashville is a musical drama television series that aired for 4 seasons on ABC, from October 10, 2012 to May 25, 2016. The series now airs on CMT, with season 5 premiering on January 5, 2017. Here are 5 other amazing shows to watch. Glee is a musical comedy, drama television series that aired on Fox for 6 seasons, from May 19, 2009 to March 20, 2015. The series showcased the lives of New Directions, the glee club at William McKinley High School. Glee focused on the club’s choir competitions, as well as the personal lives of the glee club members. Glee starred original cast members, Matthew Morrison as Will Schuester, Kevin McHale as Artie Abrams, Dianna Agron as Quinn Fabray, Lea Michele as Rachel Berry, Jenna Ushkowitz as Tina Cohen-Chang, Cory Monteith as Finn Hudson, Chris Colfer as Kurt Hummel, Amber Riley as Mercedes Jones and Mark Salling as Noah Puckerman. Smash is a musical drama television series that aired on NBC for 2 seasons, from February 6, 2012 to May 26, 2013. The series focused on a group of theater performers in New York City, as they try to balance work life on Broadway, with their hectic personal lives. Smash starred Debra Messing as Julia Houston, Christian Borle as Tom Levitt, Anjelica Huston as Eileen Rand, Jack Davenport as Derek Wills, Katharine McPhee as Karen Cartwright, Uma Thurman as Rebecca Duvall and Brian d’Arcy James as Frank Houston. Victorious is a teen sitcom that aired on Nickelodeon for 4 seasons, from March 27, 2010 to February 2, 2013. The series focused on Tori Vega, an aspiring singer, who tries to juggle being a student at the Hollywood Arts High School and her home life and personal life. Victorious starred Victoria Justice as Tori Vega, Leon Thomas as Andre Harris, Ariana Grande as Cat Valentine, Matt Bennett as Robbie Shapiro and Avan Jogia as Beck Oliver. Empire is a musical drama televisions series that airs on Fox, premiering on January 7, 2015. Season 3 of the series debuted on September 21, 2016. The series focuses on Empire Entertainment, a hip-hop music and entertainment company. More specifically, the series focuses on the Lyon family members, who founded Empire Entertainment, and their daily drama. Empire stars Terrence Howard as Lucious Lyon, Taraji P. Henson as Cookie Lyon, Jussie Smollett as Jamal Lyon, Trai Byers as Andre Lyon, Grace Byers as Anika Lyon and Bryshere Y. Gray as Hakeem Lyon. Crazy Ex-Girlfriend is a musical comedy drama television series that airs on The CW, premiering on October 12, 2015. Season 2 is set to conclude on February 3, 2017, with season 3 to air in October of 2017. The series focuses on Rebecca Bunch, an attorney who studied at Harvard and Yale, working at a top law firm, while trying to reconnect with her former boyfriend, Josh Chan. Crazy Ex-Girlfriend stars Rachel Bloom as Rebecca Bunch, Vincent Rodriguez as Joshua Chan, Donna Lynne Champlin as Paula Proctor and Gabrielle Ruiz as Valencia Perez. 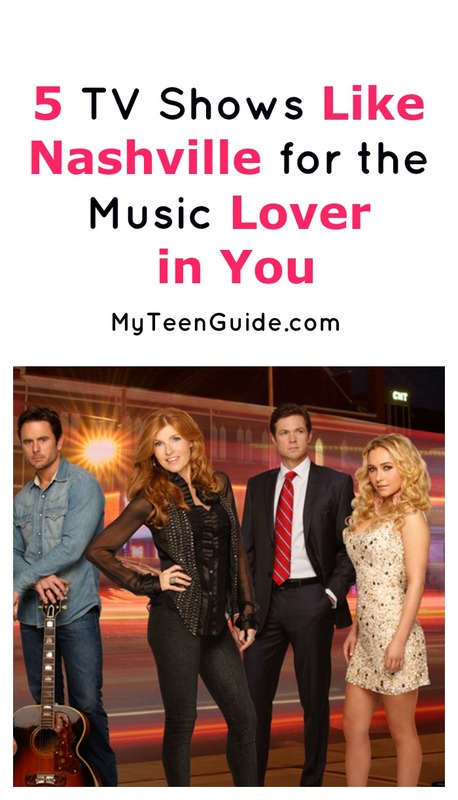 Have you seen any of these great TV shows like Nashville? Which are your favorites?